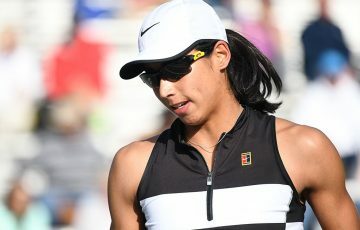 UPDATE: Sam Stosur rebounded strongly in the third set to claim a gritty 6-3 3-6 6-2 victory over 32nd seed Peng Shuai of China at the BNP Paribas Open. 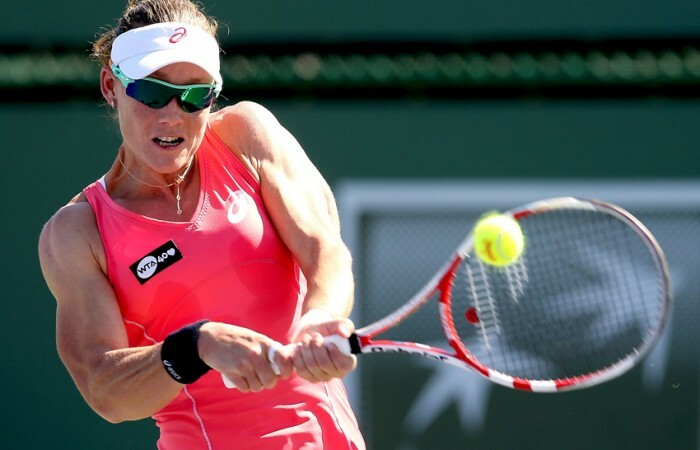 Sam Stosur rebounded strongly in the third set to claim a gritty 6-3 3-6 6-2 victory over 32nd seed Peng Shuai of China at the BNP Paribas Open. 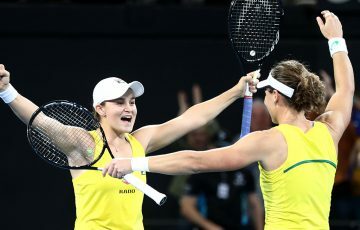 The Australian, seeded seventh at Indian Wells, moves through to the fourth round of the $6 million WTA Premier event for this first time since 2010. 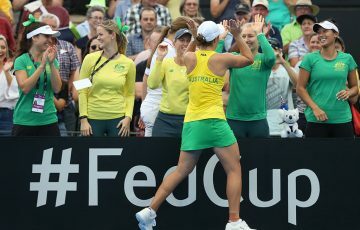 It wasn’t a pretty match for Stosur out on Stadium 3 – she served up seven double faults (to no aces) and struggled when her first serve failed to find the mark against the hard-hitting, double-fisted Peng. 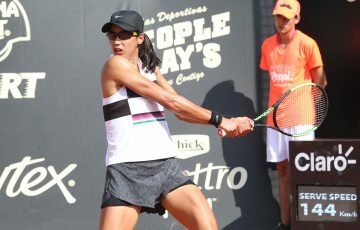 Yet Stosur served well in the clutch, staving off seven of the 10 break points she faced to wrap up victory in two hours and 12 minutes. “Peng played tough today. When I lost serve early in the third I knew that I really had to step it up. 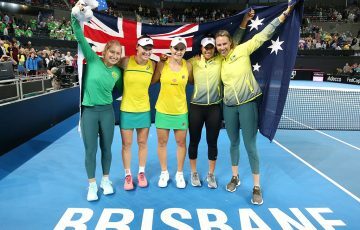 I wasn’t doing enough – I wasn’t playing bad – but then I played two really good games to get back on track,” Stosur reflected. In the last 16, she will face 24th seed Mona Barthel of Germany, who upset No.11 seed Ana Ivanovic 6-1 3-6 6-0. “I’ve never played Mona … I don’t know Mona as much (as Ivanovic), so I’ll have to take a look at that one,” Stosur said before that match.